Under a new program at Rutgers, first-year student Helen Gao is on a unique path to medical school, one that includes time to pursue a degree in fine arts. Devin Busono will have time to explore his passion for music production and learn Japanese as he prepares to become an ear, nose, and throat doctor. 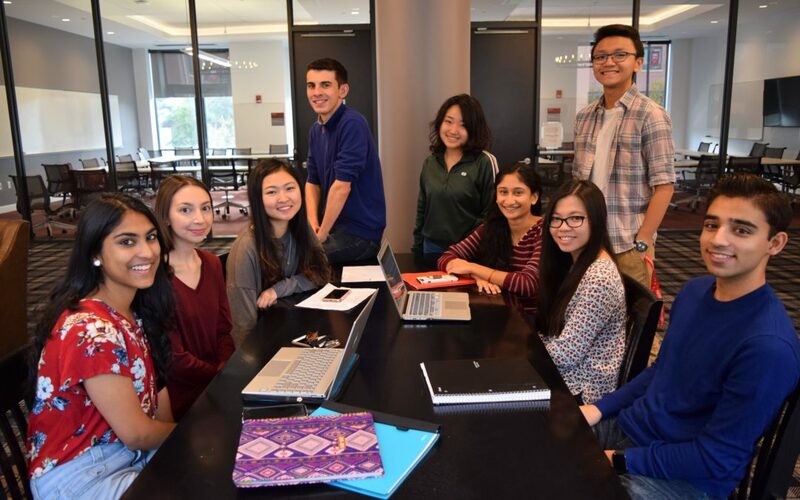 Now in its first semester with nine first-year students, the 4 Plus 4 Program offered by Rutgers University–New Brunswick’s Honors College and Rutgers Robert Wood Johnson Medical School, and in collaboration with the Rutgers Global Health Institute, has all the benefits of other competitive undergraduate-to-medical school programs, including the elimination of the Medical College Admission Test (MCAT). What is unique about this program is that students can explore their various interests and dive into global health issues during a full undergraduate experience, secure in the knowledge they have a guaranteed seat at the medical school as long as they maintain a required minimum GPA and fulfill all pre-med course requirements. The program is open to Honors College students who are first-year recipients of a Rutgers Presidential Scholarship. Read the story in Rutgers Today.